This is the first pair of earrings I made using sari silk. 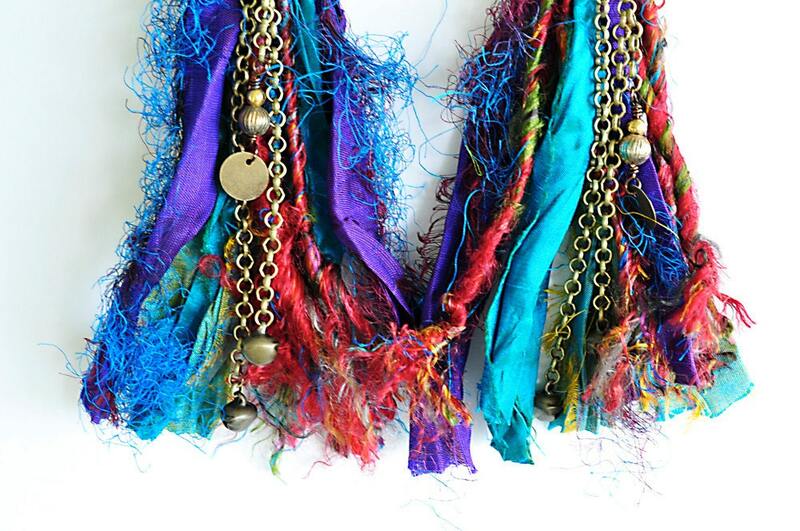 It has metal findings with antiqued brass finish, and, of course, sari silk! Women in India make sari silk ribbons from sari factory scraps. It is a cottage industry, and a way for them to earn a decent living. I love supporting them in their quest for a better life, and the silks are such beautiful colors! These and other sari silk items are offered in my Etsy shop. They're one of a kind items, however I can often make something similar if your favorite has already sold. Go to the item you like at Etsy and convo me there so I know which one you want.